Once you make a call to us, our expert team is always ready to help you make your relocation stress free. They will note down all your shifting requirements and forward it to our officers for further shifting process to be done. Our team will fix a pre-move survey on a suitable day ( for you). On Survey Day: Our field officer will be available at your doorstep to understand and review all your shifting requirements. The survey team will discuss the actual quantity of your goods you have planned to shift, suitable vehicles needed to transport them, etc. After finalising all this, they will provide you with the total cost estimate for your shifting. If you are okay with all these ideas your shifting process will be started by our mover's team. Our Quality Packing: We have an expert team for packing all your valuable goods as per their nature. We take extra care while packing your fragile, electronics, glass items etc. we use best quality packing material ( like a bubble, wrap, shredded papers, etc.) to pack your goods so, that they will remain undamaged till the last delivery and unpacking process. After we are done with the packing section, we prepare our self for loading your goods in a suitable vehicle to deliver them quickly at your new doorstep. Tracking System: We use new and advanced technologies to track your goods during transit. We always also keep our helpline desk ready to update you regularly about the delivery status of your goods whenever you need. It will give you peace of mind that all your products are in safe hand. Customer Support: We always work hard to minimize all your stress during your relocation process, so we provide you with the best customer support to clear all your doubts. 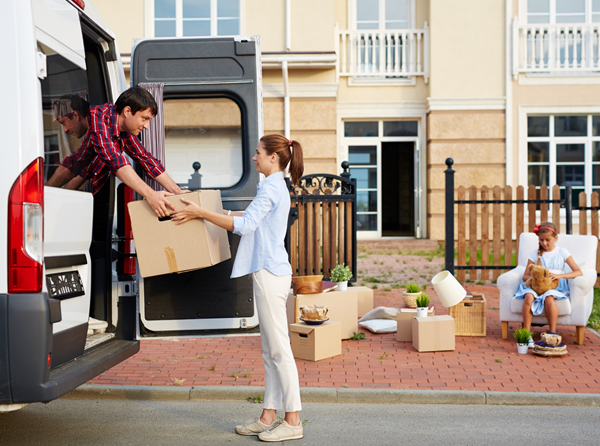 If you have any issue from beginning to the last delivery time, never hesitate to ask the question we are here to resolve all your concerns to make your relocation completely stress free.